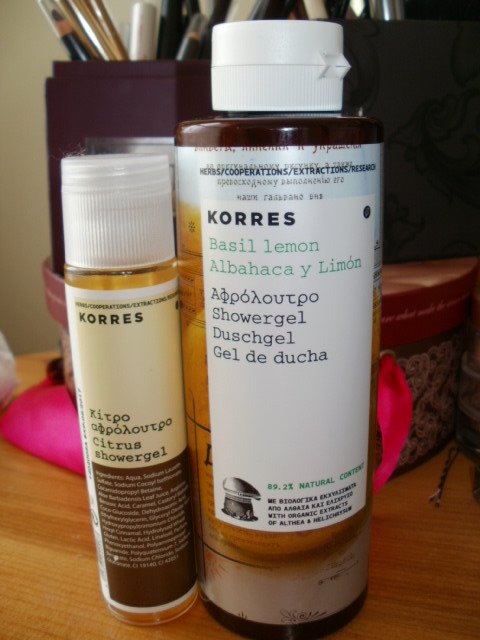 When i purchased my Korres shower gel i knew very little about the brand other than this particular Basil and Lemon Shower Gel was award winning formulation ! Korres is a Greek Eco Brand who develop products that are not only skin friendly but their core principle is to protect the environment and support the communities as well. Nothing is wasted and what is left over goes into renewable energy, not many companies can boast to be this environmentally friendly from start to finish .. pretty amazing really! So what caught my interest firstly about this shower gel was no parabens, mineral oil free and enriched active plant extracts like wheat proteins to hydrate, soften the skin, Aloe Vera to soothe and PH neutral! This shower gel leaves your skin as hydrated as a leave on product (moisturiser) my skin can get very dry so it ticked so many boxes for me i just had to get some.. and it has not disappointed! It smells of lovely sweet lemons mixed with the basil, such a beautiful, fresh, uplifting aroma to shower in. The lather is lovely soft bubbles and there is a real creaminess to them, it really is a stunning shower gel that left my skin feeling very soft and hydrated it is also a fab price! 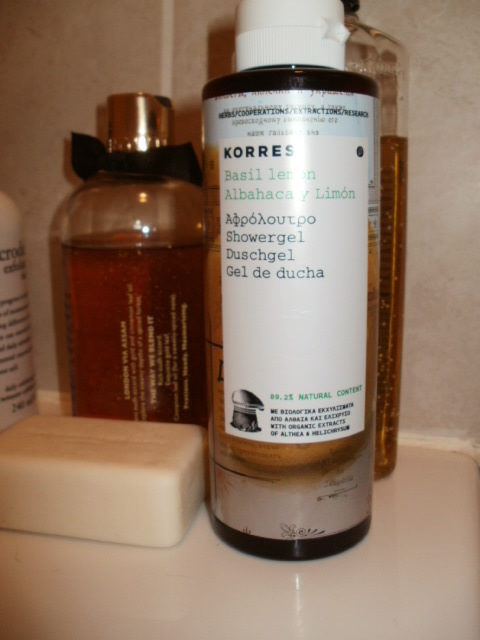 Korres Basil and Lemon Shower Gel @ £7.20 from Bath&Unwind, i have tried the same scent in a much more expensive brand and this one knocks its socks off! So for a beautiful but luxurious, heaven scented, eco, vegan, vegeterian friendly shower check out Korres, i will be delving into their Rose range very soon, so affordable too ..
Have you tried any Korres products? if so would you recommend any products to me to try please? This entry was posted in Health and Beauty and tagged active plant extracts, Award Winning, Basil and Lemon, Eco, Korres, paraben free, Ph balanced, Vegan, Vegeterian, wheat proteins on November 8, 2014 by the40somethingbeautyblogger. Yes, I have! I tried a rose one and a fig on e- both gorgeous. I haven’t tried this one though, so maybe we should try each others! Agreed! The rose is next on my list and now i will have to try the fig too lol, i just adore a nice selection of shower gels for a unique bathing experience every day :-), great value for money too!